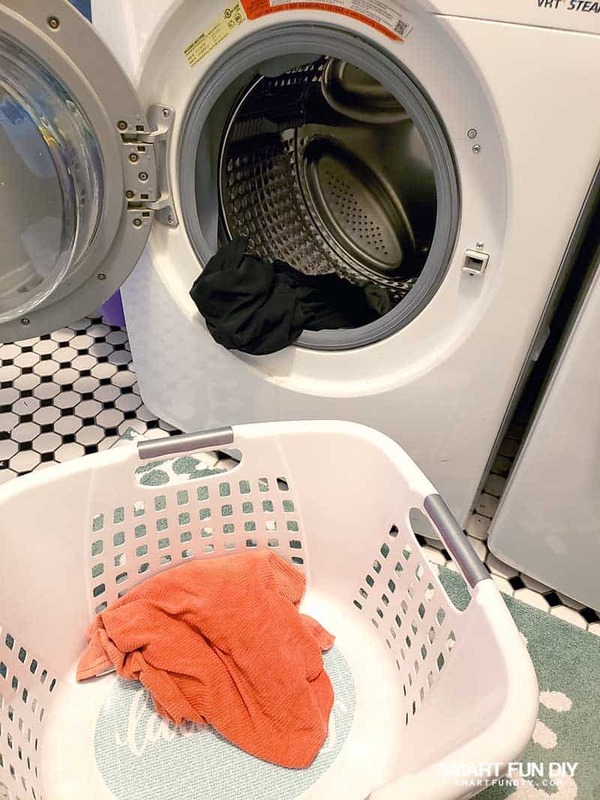 Inside: How to do laundry in 10 minutes a day. Simplify the way you wash clothes with this simple process and avoid “laundry day” for ever! One day while I was folding 84 mismatched socks, I remembered my grandma. I never saw her fold laundry. Instead, she spent her time building a thriving financial planning business, traveling to exotic places like Fiji, and sewing her heart out in her fabulous sewing room. But my grandma never had “laundry day”. Imagine having more time doing the things we love rather than washing clothes all day long on “laundry day”. This post contains affiliate links – I receive a small commission when you buy from these links and it doesn't cost you anything! It's pretty rad. Inspired by my grandma, I started tweaking my clothes washing process. After years of trial and error, I finally figured out how a simple way to stay on top of the washing and never have another “laundry day” again. Instead of doing laundry once a week, I do laundry four to five days a week for about 10 minutes per day. While that might sound like a lot, hear me out. To start this system you need one laundry basket. That's it. No hampers in the bathrooms or bedrooms. No stacks of laundry baskets. See that laundry basket up on the shelf? That's the only one I own. And our bedrooms and bathrooms are hamper-free. Every time we change our clothes or take a shower, we sort or separate our clothes. Everyone in the family is responsible for their own clothes. Sometimes I have to remind the kids to pick up their clothes from the bathroom floor and sort them. But for the most part, everyone has to make sure their clothes make it into my system to get washed. Speaking of bathrooms, you'll love this easy way to organize your bathroom when you have multiple kids! Separating laundry can be really complicated but I keep it super simple. One category of clothes goes into the washer. The other category goes into the clothes basket. Once the washer is full, I start the load. I wash clothes in the washing machine at night or early in the morning when the electricity costs are lowest here in California. On the mornings that I go to the gym, I'll start a load when I leave for the gym. Then I put the clothes in the dryer when I get back from the gym. I only run a load of clothes once the washer is full. The washer isn't full every day; I typically wash clothes 4-5 days a week. After the dryer is done, I fold and hang the clothes directly from the dryer to avoid ironing. I call everyone into the laundry room to put away their folded clothes. If no one is home when I finish folding, I leave their folded clothes on the counter in the laundry room. They know to check the counter for their clothes when they get home. Once the load is finished in the washer, I move the dirty clothes from the basket to the washer. I then fill the basket with the category of dirty clothes that was previously in the washer. I wash clothes about four or five days a week and that's it. There is no “laundry day”. You might be wondering what we do with the clothes that don't fit into the bleach/no-bleach categories? Rugs, curtains, shoes: I wash these as needed when I see they are dirty. We have two sets of sheets for each bed – one set on the bed and a spare set in our cedar chest. We clean the house on Saturday mornings so we'll strip the beds and wash those linens during the housecleaning time. We put the linens from the cedar chest onto the bed. When the linens are done washing , we fold them to put into my cedar chest for the next rotation. It takes about 2 hours to clean the house so we can usually get the linens washed, dried, and folded during that time. if you don't have a set time to clean the house, use one of the non-washing days to wash linens. Dry cleaning: I put dry clean only items into a mesh bag on the laundry room door. My husband takes these clothes to the cleaners once a month. Hand wash: I'll put these to the side to wash on delicate. But I usually try to avoid buying anything that is hand-wash so, problem solved. What happens if you go on a trip? If I can't do laundry for several days in a row, then we still keep to the system, just doing more than one load in a day to catch up. We sort all of the clothes into piles on my bathroom floor for a few days until we can work through the backlog. We add any newly dirty clothes to these sorted piles and wash them with the dirty clothes from the trip. We wash the clothes on a similar cycle as a usual week. If we've been away from home, there usually aren't many towels to wash so the bleach load stays pretty small. I run the bleach loads on a hot water sanitize cycle for 1:45 minutes so I can usually only run one of bleach load per day. 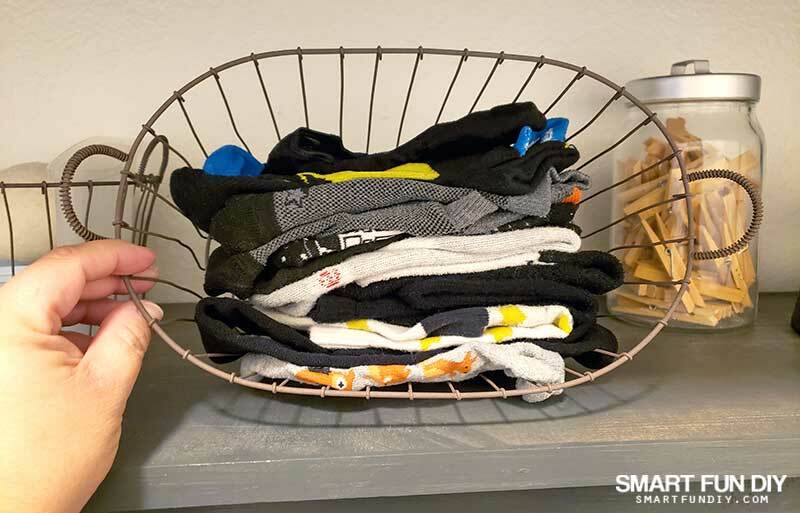 If you collect single socks in your laundry basket while you wait to find the match, I bet you're wondering what to do if your laundry basket now has dirty clothes in it. I place the socks in the basket vertically so I can see them all at a glance. When I find a solo sock while folding, I look in this basket to see if there is a match. If we haven't found the matching sock in a month, I ask one of the kids to check under the beds and couch to see if the sock might be there. Once a month, I empty the basket of all the lost socks and make them into dog or cat toys. Should your kids wash laundry? You may believe your kids should do their own laundry once they reach a certain age. You can certainly have your kids implement this washing system without your involvement. You don't have to do your kids' laundry. 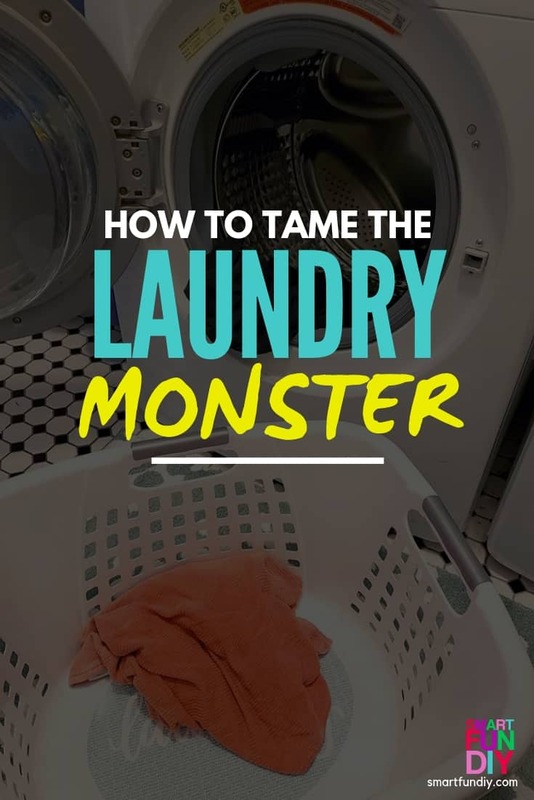 But if you want them to wash their own laundry, you'll need a plan for where their clothes will accumulate between washes. Fewer clothes to wash means fewer clothes to fold. And by washing clothes less frequently, they'll last longer! Denim is not meant to be washed frequently. Sometimes we'll go a month without washing jeans, as long as they still smell fresh. Try to wear your pajamas more than once so you generate only 3-4 sets of pajamas to wash per week instead of 7 sets. Your pajamas will also last longer by being washed less and you'll need to buy fewer sets each year. I love a fresh fluffy white towel for each shower. But I cut my laundry loads by half by using my towels 2-3 times rather than grabbing a fresh towel for each shower. Fewer towels. When I was using a new towel each shower, I needed 30 towels to get my family through the week. Now we own a total of 8 towels between the entire family. Need less storage. It's easier to find and put items away in my linen closet with fewer towels. I had towels in 4 places in my house before this system. Now I can store them all of my towels in one place. Better for the environment. Conserve power and water and use less detergent when you wash less. Towels are one of the bulkiest items we wash, causing us to use more water every time we wash them. Save money on buying fewer towels, using less detergent, and using less power and water to wash towels. To keep your towel smelling fresh, hang it somewhere it can dry completely between showers, like on a towel bar or clothes line. When you do wash towels, wash them in hot water with bleach to sanitize them so they stay fresh longer between showers. 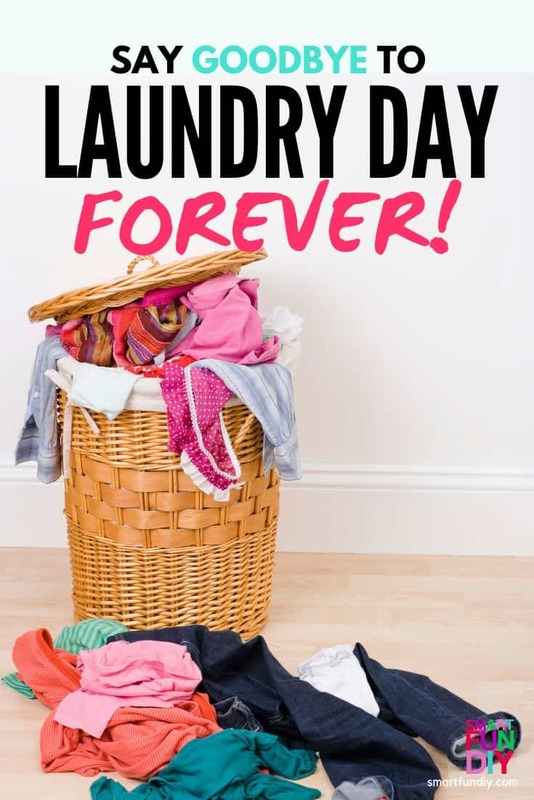 Are You Ready to Ditch Laundry Day? Changing your laundry routine won't stick if you're not ready. Something probably happened in your life that led you to read this far into this post. It might be similar to what made me change how I wash clothes. 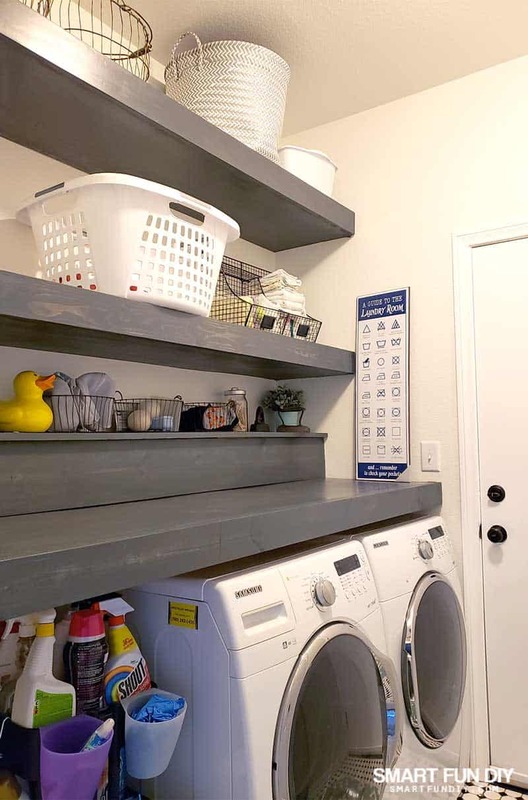 We had just remodeled our laundry room to include a place to fold laundry. 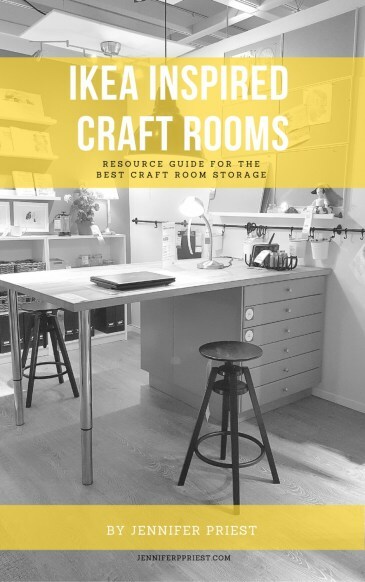 I had read Marie Kondo's book and wanted less clutter in my home. All of these clothes baskets, hampers, and piles of clothes did not “spark joy”, in the words of Marie Kondo. My doctor told me to make my bedroom as peaceful as possible to alleviate my sleep challenges. The clutter from multiple hampers spilling over with dirty clothes in my master bathroom was giving me anxiety, affecting my sleep. Our three clothes baskets crammed with wrinkled clean clothes caused arguments between my family members and I. My cat started eating socks from the smorgasbord in the laundry basket, leading to tears as “favorite socks” were now holier than Swiss cheese. While you may be ready for change, your family might not be. My husband insisted that he “likes” doing laundry. His idea of doing laundry is washing clothes from dusk to dawn one entire day, “laundry day”. Then he sits in front of the TV for 8 hours leisurely folding a pile of laundry that nearly touches the 9 foot ceilings. The kids wanted to keep their hampers. As did my husband. The first few months, new hampers kept showing up in my bathroom. After I made a stand about the hampers, a lilac plastic tub from the dollar store showed up and was filled with my husband's dirty clothes. I was furiously frustrated! The Goodwill enjoyed many donations of hampers, laundry baskets, and plastic tubs from us during this time. I called a family meeting to get everyone on board with why mom needs this. I needed peace in my bedroom. That meant no more piles of dirty laundry in the bathroom or clean laundry piled on my bed. I wanted to use our time together, better. I explained that a whole day each weekend folding clothes was interfering with doing fun family activities together. Even if we all just retreated to our rooms to read books or do crafts, I wanted us to have that free time. I wanted simplicity. Letting the laundry pile up to the end of the week created a complicated problem that I wanted to be rid of, permanently. I wanted everyone to be responsible. We share in the laundry. The task is not 100% on me or 100% on my husband any more. Be open with your family about the change. Meet with them and discuss how to make the process and transition easier for each person in the family. Your laundry process will be unique to your family. Work with them to find a solution what works best for everyone in the fam. Once my family understood where I was coming from, they started to embrace this new way to do laundry. It took a few weeks of sticking to my plan for the system to finally work like clockwork. I still have to remind the kids and my husband to sort their clothes but for the most part, everyone knows what to do and they do it. Now I know why my Grandma always had time for trips to the sewing shop and adventures with the grandkids … she had tamed he laundry monster! What's your best laundry tip? If you're ready to make a HUGE change in your laundry life, follow the steps above and talk to your fam. I wanna see a pic of your empty laundry basket! Tag me on instagram at @smartfundiy so I can see your progress. P.S. If you liked this post, would you share it on Facebook or Pinterest? Thank you!